I’m not a huge fan of college basketball, but tourney time lights a little spark in just about everyone. Living here in the burbs outside Philadelphia, I annually adopt a small rooting interest for the Villanova Wildcats as they march towards the Final Four. Since I can’t talk X’s and O’s when it comes to hoops, I’ll offer the only advice I can for those interested in the tourney- a recommendation for a good burger spot to catch the ‘Cats opening round game against Robert Morris on Thursday. Game time is 12:30pm which means you can probably time your office escape perfectly to catch a good chunk of the game and grab a bite to eat. 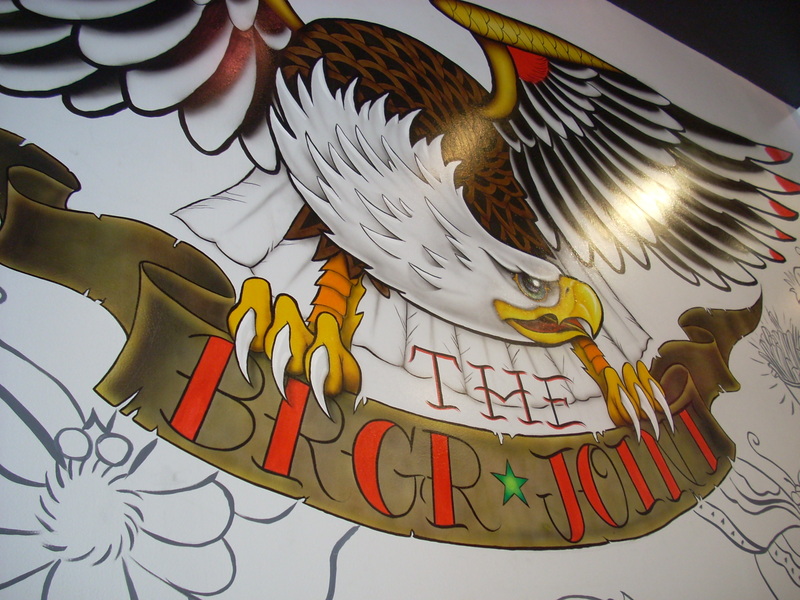 For those who feel the need to be close to the hub of activity (and can’t make it to Providence, RI), for my money, the best place to go close to Nova is The BRGR Joint in Bryn Mawr. Safely within stumbling distance for the college crowd on Thursday, Friday and Saturday nights, daytime finds the place exceedingly quick and not overly crowded – with two ridiculously huge TVs normally pegged to a news channel, though I’d be willing to bet they’ll be airing the game. 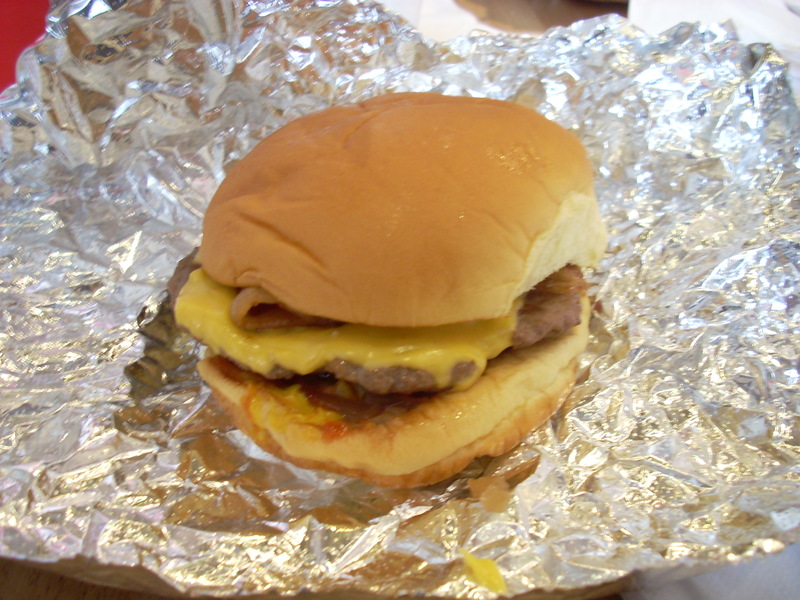 The burgers are akin to Five Guys, though thankfully much lower on the grease scale. I usually order mine with a fried egg on top, but can vouch for the quality of most of their topping combinations (tons of toppings like 5G or Elevation Burger). They’ve recently introduced two new burger/fries/soda combos (a one patty “lil” cheeseburger with fries and a drink is $5.99 and a two patty “regular” cheeseburger with fries and drink is $6.99 – with egg or bacon an additional $0.99) making things even easier on the wallet. Special kudos for the fries at BRGR Joint. They are on par with the burgers taste-wise and come in regular and sweet potato varieties. If you are coming with a friend you’d be wise to order one of each (and maybe a third order with their chili ladled on top). 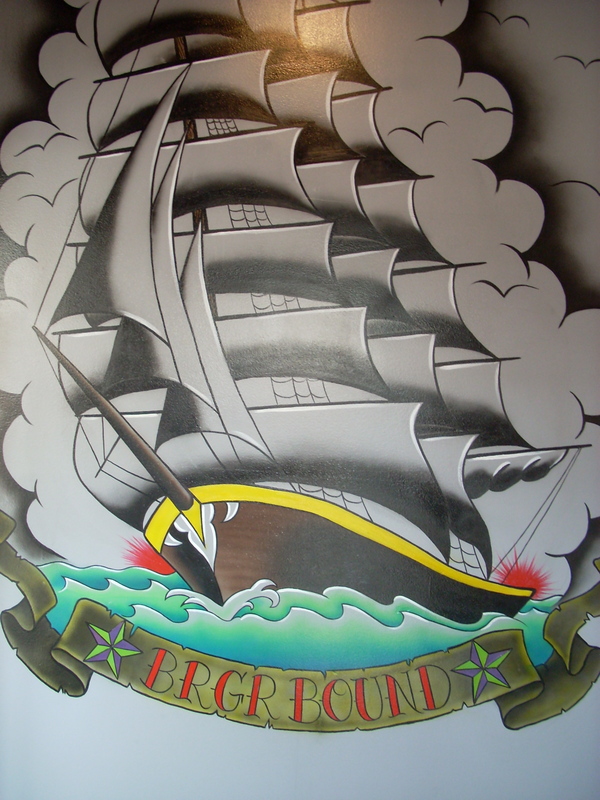 The tattoo motif of the dining room belies the true demeanor of the place, which is exceedingly friendly. These are true burger folks who know their stuff and are sincerely interested in delivering a great burger experience every time you stop in. Each time I go I try to bring a new person with me and I know others are doing the same – this is the kind of place you really want to see succeed because they seem to have their hearts in the right place. So plan your excuses now and I’ll probably see you at BRGR Joint around 12:30 Thursday, just in time for tip-off. Close to home and I didn’t even know it was there…. Thanks for the heads-up, Marc. I’ll report back when I’ve had the chance to check it out.